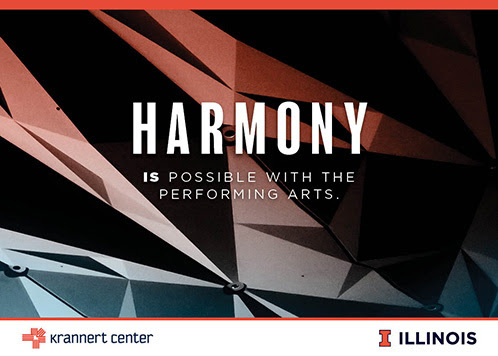 The Krannert Center Effect: For nearly 50 years, Krannert Center has manifested a harmonious blend of artistic study, mastery, imagination, and community—with national and global impact. Welcome remarks by Deborah Rutter, President, The John F. Kennedy Center for the Performing Arts. Where: Members Room, Library of Congress, Thomas Jefferson Building, 10 First Street, SE, Washington, D.C. Enter via the ground floor covered front entrance facing the United States Capitol Building. Upon entering, inform the United States Capitol Police that you are attending an event in the Members Room on the first level. You will be directed to proceed through metal detectors inside the entrance.